I’ve made a massive update to the Color Management article I posted about a month ago, now it spans a whopping 8 pages. The article is expanded with a full color managed workflow for LightWave 3D with display proofing, a generic color managed workflow for all other 3D applications that lacks full color management. A linear gamma corrected workflow for modo and LightWave 3D. 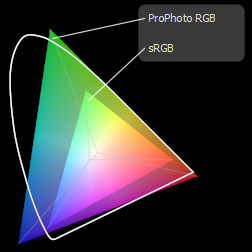 Color managed workflows for Photoshop and After Effects as well as a section on monitor calibration and profiling with a Spyder 3 Elite. Thanks for all this great info, Johan! 3D artist // CG filmmaker - All artwork copyright Johan Steen . No portion of this website may be reproduced without expressed permission.